We at McElhinneys are delighted to present our new collection of fragrance candles and reed diffusers. The Katie Hannah By McElhinneys brand name is a dedication to the late mothers of store owners John and Eileen. 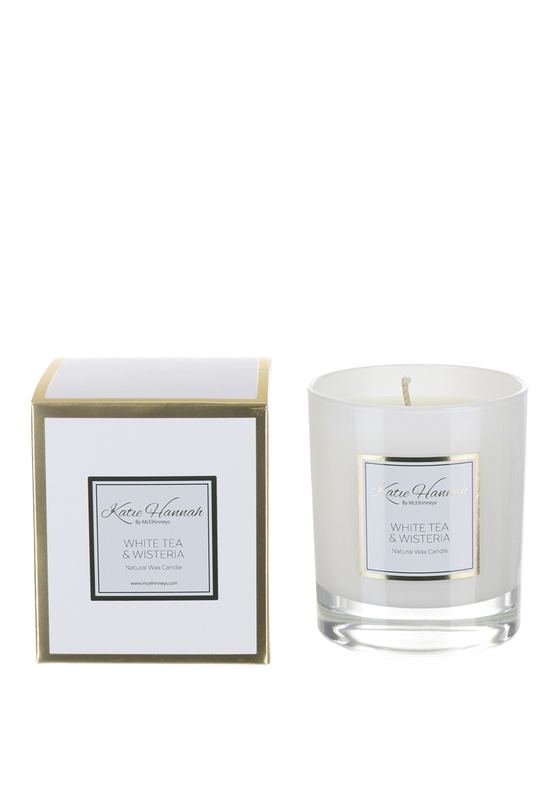 Fill your home with an aromatic blend of floral wisteria and white tea for a clean and fresh scent. This natural wax candle is presented beautifully in a class holder and has a burning time of 40 hours.